Jhalak Dikhhla Jaa is an Indian television reality show. This is the Indian version of BBC's dancing show Strictly Come Dancing. Till now around 7 seasons of Jhalak Dikhhla show had been aired on Colors channel. Basically in Jhalak Dikhhla Jaa reality show celebrities perform various dances together with professional dance partners. Last season of Jhalak Dikhhla Jaa was hosted by Ranvir Shorey and Drashti Dhami who was later replaced by Manish Paul. 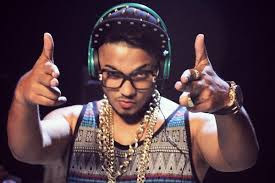 Judges for the Jhalak Dikhhla Jaa Season 7 were Remo D'souza, Madhuri Dixit, Karan Johar.The contestants of Jhalak Dikhhla Jaa Season 7 were S. Sreesanth,Purab Kohli, Sophie Choudry, Mouni Roy, Karan Tacker, Kiku Sharda as Palak,Sukhwinder Singh, Akshat Singh, Ashish Sharma, Shakti Mohan and Pooja Bose. Ashish Sharma and Shampa (professional dance paretner) was winner. Jhalak Dikhhla Jaa Reloaded Season 8 will be aired on Colors Channel from 11th July 2015 at 9 PM. Judges for the Jhalak Dikhhla Jaa Reloaded Season 8 are Shahid Kapoor, Karan Johar, Ganesh Hegde and Lauren Gottlieb. Jhalak Dikhhla Jaa Season 8 will be hosted by famous host Manish Paul. Sanaya Irani is an Indian model turned actress. Her first major role was in the Indian youth show Miley Jab Hum Tum. 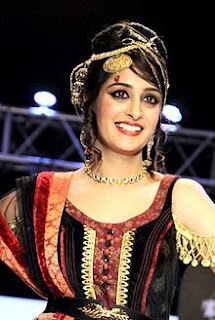 Later she appeared in Iss Pyaar Ko Kya Naam Doon and Chhanchhanand Rangrasiya. 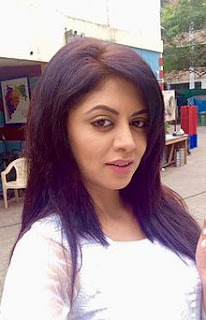 Kavita Kaushik is a famous Indian actress. She is best known for playing the rolw of Chandramukhi Chautala on SAB TV famous show F.I.R. for which Kavita has won total of 51 awards so far.She has won the famous Indian Telly Award for Best Actor In A Comic Role (Female). Radhika Madan is an young Indian television actress born in 1995.Currently, she is playing the lead role of Ishani in Ekta Kapoor's famous show Meri Aashiqui Tum Se Hi on Colors TV network.She was awarded at Television Style Awards for Best Stylist Jodi with Shakti Arora. Scarlett Mellish Wilson is a British model and dancer, who works in Indian cinema. Deepika Samson is an Indian television soap opera actress.She is known for playing the role of Simar Bhardwaj in famous televesion serial Sasural Simar Ka. Mohit Malik is a famous Indian television actor.He is well known for playing the role of Bharat in Zee TV's show Banoo Main Teri Dulhann. Currently he is playing the lead role of Samrat Singh Rathore in famous serial Doli Armaano Ki on Zee TV. Ashish Chowdhry is a former Indian model and an famous actor. He is the winner of famous reality show Khatron Ke Khiladi : Darr Ka Blockbuster Returns. 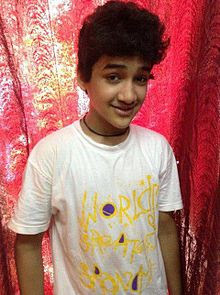 Faisal Khan is a famous Indian dancer and television actor.He is the winner of most popular dance reality show Dance India Dance Little Masters .He had played the lead role of young Maharana Pratap in Sony India's show Bharat Ka Veer Putra – Maharana Pratap for which in 2014, he won Indian Television Academy Awards and Indian Telly Awards for Best Child Actor. 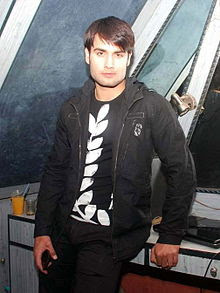 Vivian Dsena is an Indian television actor. Vivian Dsena had played the role of Abhay in Pyaar Kii Ye Ek Kahaani.He has appeared as Rishabh Kundra in Madhubala-Ek Ishq Ek Junoon. Shamita Shettyis an Indian interior designer, a former film actress and model. She is the younger sister of famous Bollywood actress Shilpa Shetty. Subhreet Kaur Ghumman is a one legged dancer who participated in famous reality show India's got talent and qualified for the second level with her skills. Her nickname is 'Shubh', She has lost her leg in an accident. www.einfoportal.com team wishes all the best to the contestants of Jhalak Dikhhla Jaa Season 8 Reloaded. We hope that all contesttants will give their best to make their identity among the viewers.